Congrats to the new MR. and MRS ! 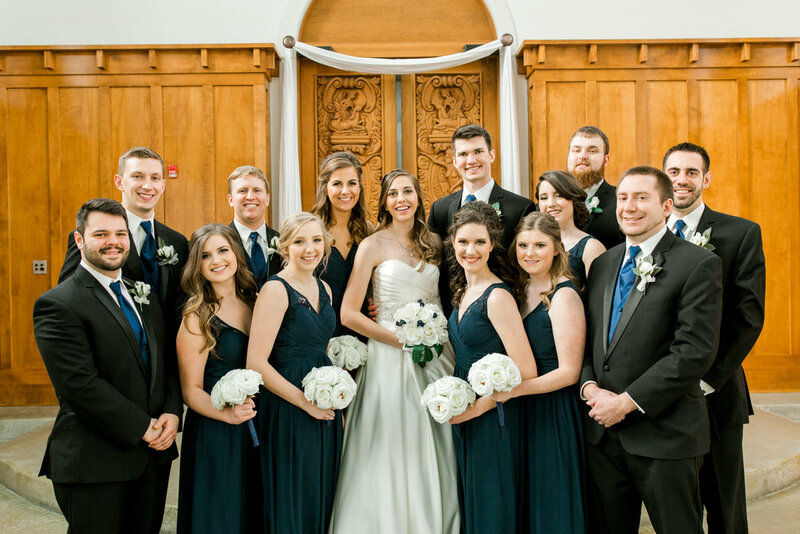 This wedding was seriously amazing for the kick off of 2018 wedding's! Brandy and Mike are best friends at heart and have such big hearts. The two are so in love and make everyone smile. They started their love story in high school and soon enough became a couple. After years of dating Mike popped the question and Brandy of course said "YES". 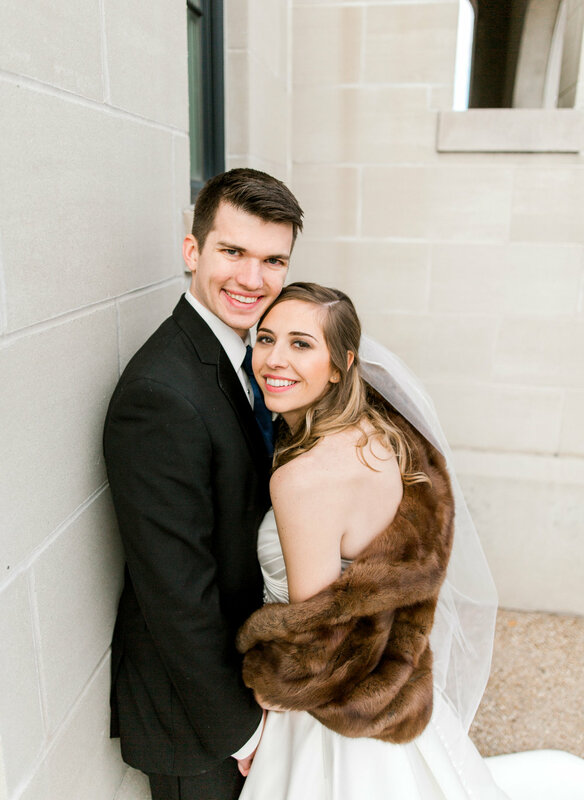 The two were engaged for a little over a year and had a blast planning their wedding! 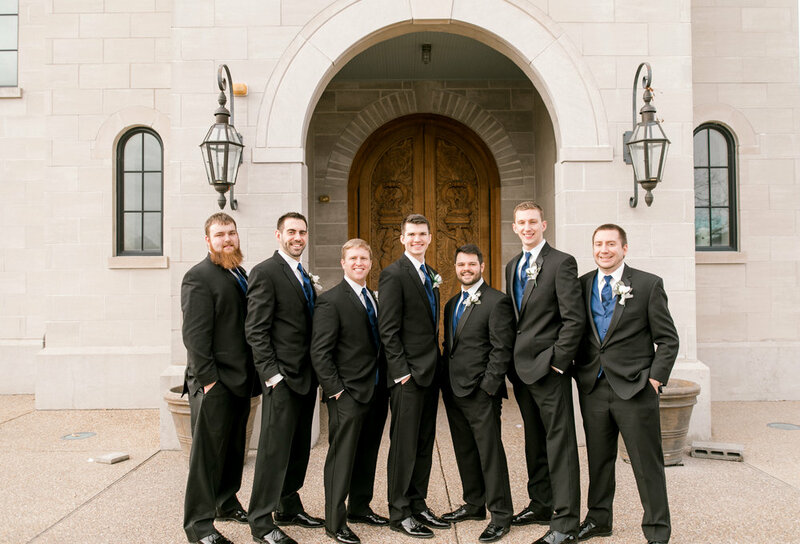 The ceremony was held at New Town chapel in New Town Saint Charles, Mo. If you have not been to this chapel it is simply breathtaking! 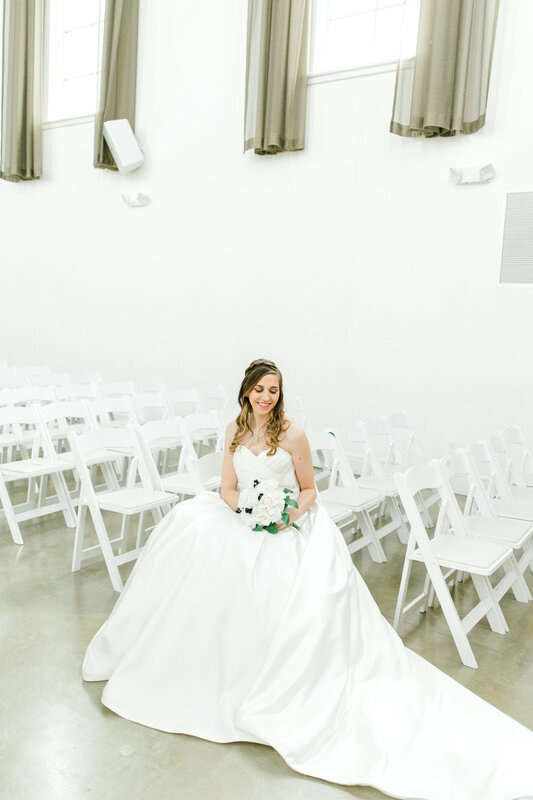 From beautiful clean white walls to a long aisle its the perfect chapel in the area. Before they said the "I do's" they read each other's love notes to each other behind a door. There was not a dry eye in sight. The two are simply perfect. After the ceremony we stayed in New Town to capture some images with the wedding party and the bride and groom. Brandy was obsessed with the buttons on her dress, the buttons started from the bottom back of dress to the end of the train the dress was simply stunning. The day was a little cold but this did not stop us from taking pictures outside we made it fun from walking and jumping on and off the heated party bus. After pictures at New Town everyone hoped on The Road Pony party bus to head over to Ameristar Casino in Saint Charles, MO to take a few indoor. From everyone walking inside and all the people walking past Brandy and Mike congratulating the two this simply felt like a fairytale for the two. The one picture we made sure to capture was the iconic sign at the beginning of the casino. 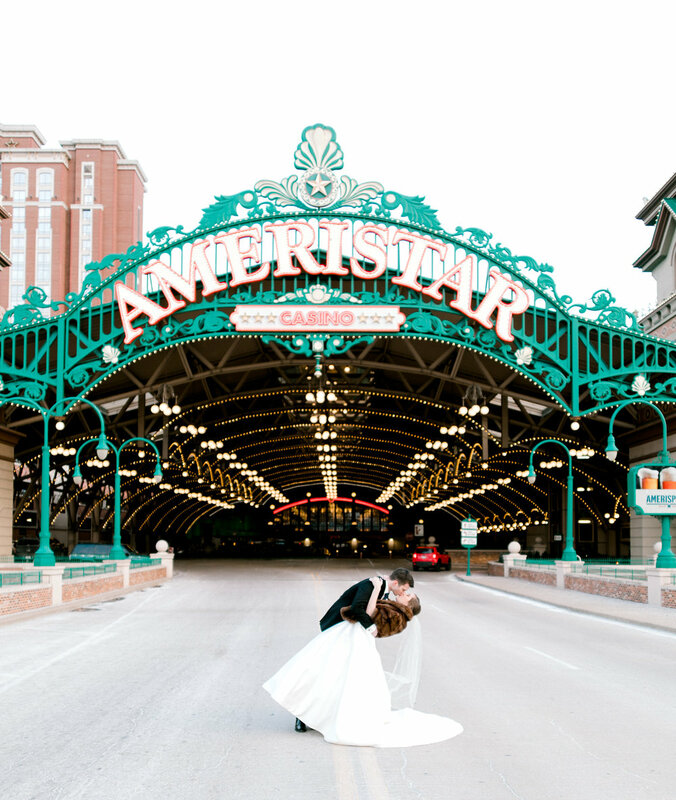 We made sure no traffic was coming and we all stood under the sign to capture the cutest picture of the bride and groom kissing under the sign needless to say they loved the image! Following the pictures was of course party time the reception! The reception was held at All Occasions banquet in Saint Charles, MO. 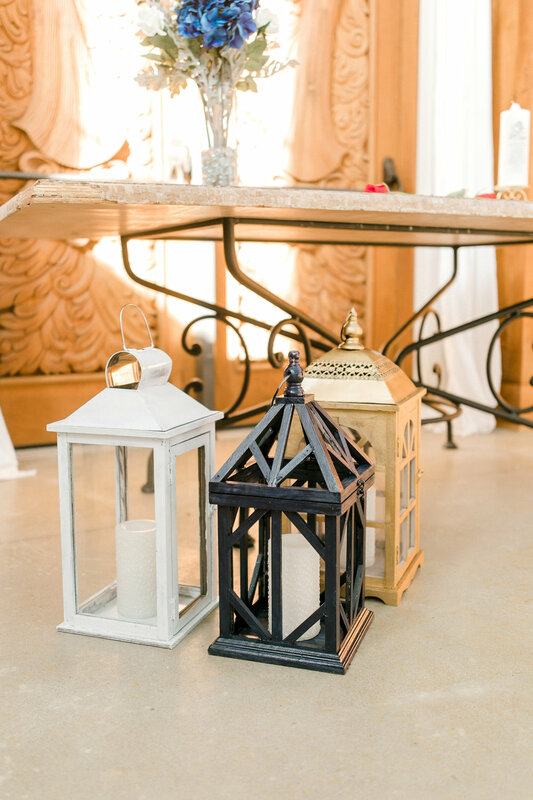 The beautiful venue was well lit with lighting and a beautiful area for friends and family to be together. The wedding party entered by dancing and spinning and tons of laughter. Following the entrance was the first dance which was Ed Sheeran. 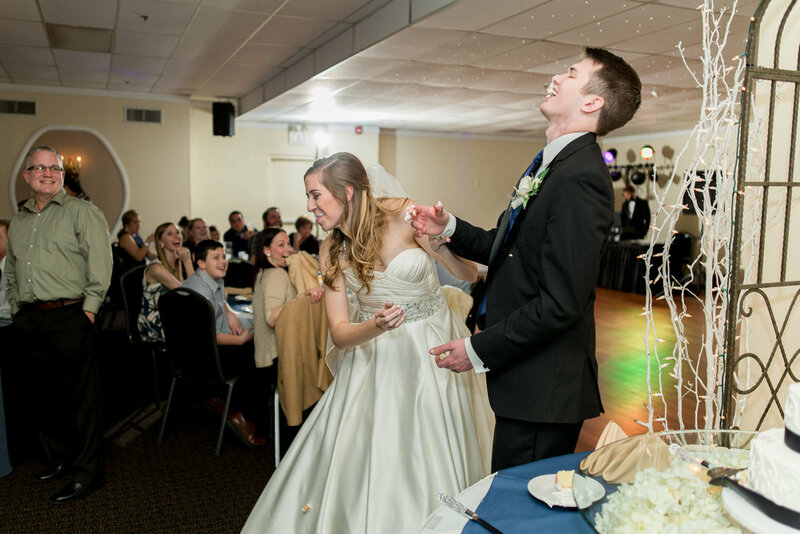 The two laughed, spun around and danced close as they danced for the first time as husband and wife. After the dance was the speeches and these speeches were ones to go down in the books! The maid of honor's speech was first and seriously she blew it out of the water on this. The maid of honor started by talking about Brandy and her friendship than turned to the dj to turn on the music. She put on sunglasses and started rapping about Brandy and Mike's love story. The speech had everyone laughing and cheering. Following the speeches there was tons of dancing. A group dance of Brandy and her sorority. It felt like everyone was on the dance floor for this wedding tons of dancing and cheering. The day was perfect! Congratulations to Brandy and Mike!